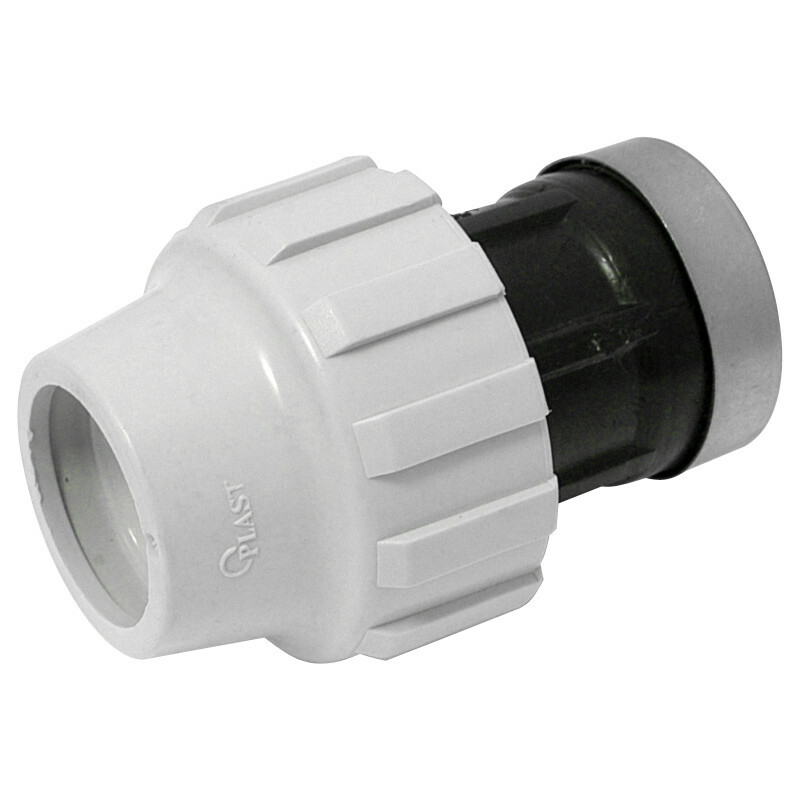 MDPE Female BSP Adaptor 20mm - 3/4"
MDPE Female BSP Adaptor 20mm - 3/4" is rated 5.0 out of 5 by 2. Rated 5 out of 5 by westgarth from It is what it is! Water service connection! Bought to connect an old black alkathene pipe from the outside toilet to make a new domestic water supply to the property having no inside stop tap. The grab ring and nut look able to accommodate a variety of water service pipes within the nominal bore size ranges. Internal O-ring also helps the joint integrity. The BSP thread to pick up 15mm pipe is substantial, although don't overtighten any brass fittings or you'll risk damaging the threads and waste the fitting! Also, don't forget your pipe insert! Rated 5 out of 5 by john from beds from Quick and easy adaptor A cheap an effective way of connection 20mm blue pipe to a tap. Any other way requires several stages of adaption.